First I must confess that I have had this book on my book shelf probably since it released back in 2013. Yes, that’s a looooooong time, I know, but I was waiting for the right moment to read it and boy and I glad I read it now! It was the perfect timing. I really needed a book like this at this point of my life. You know how there are books that make you look at life differently, well this one is one of those. One of the messages I got from it is that things happen for a reason. At that time you may think it’s the end of the world and that this will never get better, but you have to think that this too shall pass and you can never give up hope, because when you do, there is no point in living. Pretty deep huh? LOL There is plenty of swoon worthy moments too, but THE ISLAND just made me realize that it would always be worse. 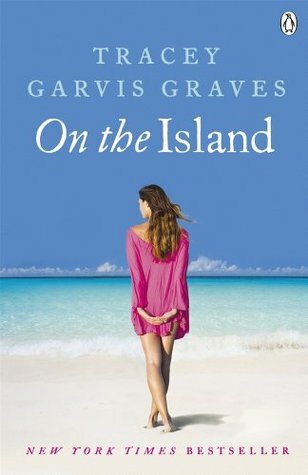 TJ then only 16 and Anna 30, get stranded in an island in the middle of the Indian Ocean near the Maldives. I was a little worried that Anna and TJ were going to hook up knowing that he was still a minor. It just creeped me out. But I was glad to hear that he was of age at the time when things finally started to heat up. One of the things I really loved about THE ISLAND is seeing the character grow. Like I mentioned before TJ was only 16 when he was stranded and as a reader I was actually able to see how he grew up to a man. A sweet, caring and admirable man. Anna did some growing up too. She grew as a person. It was hard to put THE ISLAND down. I was reading it every chance I got. It was just that good. I am seriously kicking myself for not reading it sooner. Please don’t be like me, please go and read it. I promise you will not regret it! Great review! I read this when it first came out and I really liked it despite its uniqueness -- I need to re-read it this summer!! I loved this book so much! I pretty much read it through the night. The other day I picked it up just to revisit TJ and Anna, you know read a few pages or so, and I ended up rereading it. The day was shot. If you have a chance you should read Uncharted by Tracey.